Welcome To "Music Is Family.com"
electronic, and singer-songwriter genres, Fake Chapter Records was approached by one of their artists to release a children's record. 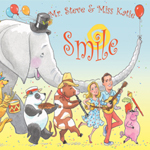 The result was the fantastic and widely successful Mr. Steve & Miss Katie's "Are You Ready? Here We Go!". 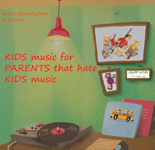 to explore this genre but in a way that excites parents as much as children (hence the title of our compilation). children's music while keeping the sanity of the secondary audience (the parents). We hope you take a listen, enjoy the music, and give us lots of feedback.